Thanks to a bit of lateral thinking, Alcatel-Lucent has come up with a way to lower the initial cost of deploying TWDM-PON, which should make it easier for operators to consider adopting the latest in fixed-line broadband technology. Time- and wavelength-division multiplexed PON is the approach chosen for the next generation of passive optical networks. Announced in October 2014, Alcatel-Lucent’s TWDM-PON system was the first on the market. It delivers 40Gb/s of capacity via four 10Gb/s transmitters, each on a different wavelength. TWDM-PON requires new optics capable of tuning between these four 10-Gb/s wavelengths. But Alcatel-Lucent acknowledges that this flexibility comes at a price. Tunability adds complexity, which increases the price of the optics. With these optics not yet available in large quantities, TWDM-PON’s current cost is higher than that of more established technologies. Alcatel-Lucent’s solution, which it calls Universal TWDM-PON, is to swap out the tunable optics and replace them with the fixed-wavelength optics used in 10G PON systems. Operators can use pluggable XFP modules designed for 10G-PON (or XG-PON1 as it is also known) or 10G-EPON commercial systems. These transceivers have not been deployed in huge volumes either, but they are less expensive than TWDM-PON optics simply because they are not tunable. The wavelength of the fixed 10G optics is different from that specified in TWDM-PON, but this is not an issue, according to Ana Pesovic, senior marketing manager for the wireline division at Alcatel-Lucent. TWDM-PON has been designed to be backwards compatible with the PON technologies that preceded it, so all the wavelengths can coexist. “It’s just a matter of using a different wavelength, everything else is TWDM-PON,” she said. When operators want to move to a system with full flexibility, then they can just add a line card based on a tunable transceiver - they don’t even have to discard the fixed optics-based line card. This enables a ‘pay-as-you-grow’ upgrade path for service providers, the vendor says. The smooth upgrade to full TWDM-PON avoids the need to replace network components, evaluate new technology, or reconfigure operations and business support systems (OSS/BSS). In contrast it can take up to one year to validate a new set of hardware, she says. By moving to Alcatel-Lucent’s Universal TWDM-PON now, operators can take advantage of XG-PON1 prices today, while the platform is ready for full TWDM-PON tomorrow. Alcatel-Lucent is keen to point out that this doesn’t mean wavelength tunability isn’t on the industry roadmap any more. “Wavelength agility is a mandatory requirement of next-generation PON. Every OLT [optical line terminal] has to have this capability otherwise the costs to operate and maintain the network would become unmanageable,” Pesovic explained. She outlined a number of scenarios where an operator might wish to reassign wavelengths at the OLT: to add more capacity on the network by moving a group of end-users onto a new wavelength; to switch end-users from one operator to another on an unbundled network; in the case of a line card failure; or even to save electricity overnight by switching all the active consumers onto the same line card. 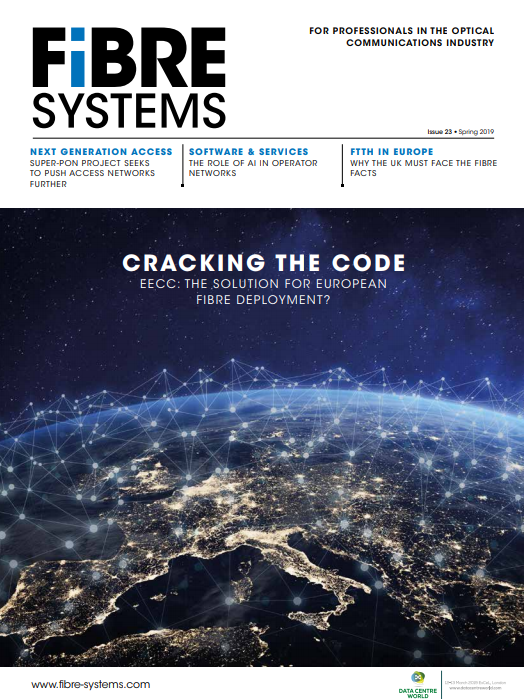 Pesovic says that about 20 potential customers have tested Alcatel-Lucent’s TWDM-PON system - which is supported by the 7360 Intelligent Services Access Manager FX platform - and almost as many are in the pipeline to trial the system over the next few months.